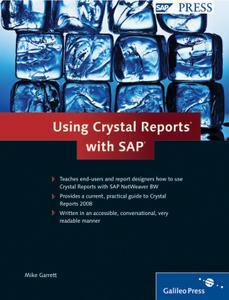 If you have to generate reports with Crystal Reports in an SAP NetWeaver BW environment, this is the book you need. You’ll learn how to quickly create effective reports that get the right information to the right people. 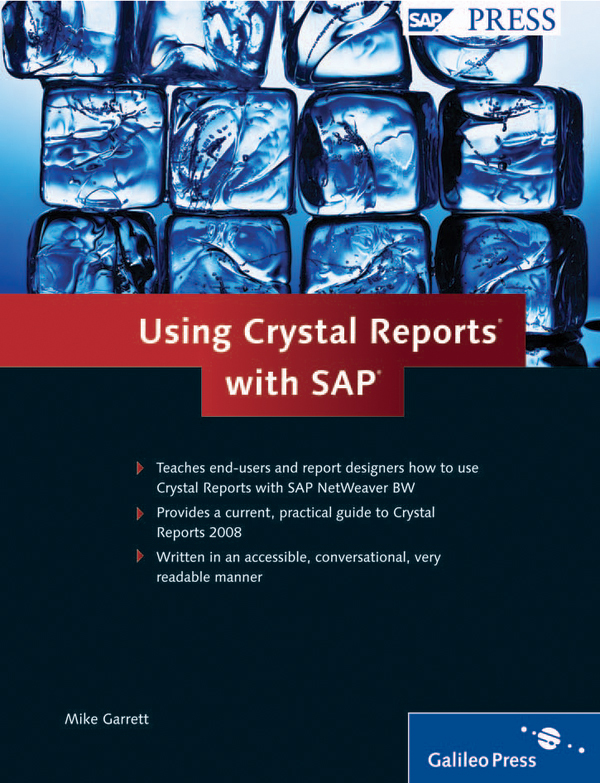 This book covers the primary features and functions of Crystal Reports, while paying special attention to integrating with other Business Objects and SAP applications and data sources. 1. The SAP BI Toolset Learn about all the reporting and analytics tools that comprise the SAP BI toolset, including Crystal Reports, Xcelsius, and Web Intelligence. 2. Crystal Reports as a Data Source Explore how SAP NetWeaver BW can function as a data source for Crystal Reports. 3. Flexible Formatting Select from a variety of possible report layouts and learn how to design more flexible reports that provide feedback to the end user. 4. Filtering Discover the two tools that allow users to filter data in SAP NetWeaver BW reports—the BW variable and the Crystal Reports parameter. 5. Sub-Reports Find out how to use sub-reports to retrieve data from different data sources.